Bratz! 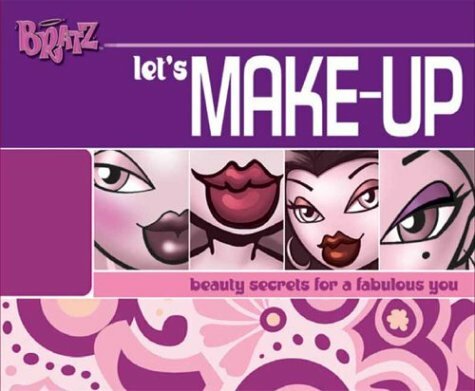 Lets Make-Up: Beauty Secrets for a Fabulous You is for Ages 4-8. Bratz! Lets Make-Up: Beauty Secrets for a Fabulous You was written by Cylin Busby. Bratz! Lets Make-Up: Beauty Secrets for a Fabulous You was published by Grosset & Dunlap. Subjects of Bratz! Lets Make-Up: Beauty Secrets for a Fabulous You include Children's 9-12 - Diet, Children's Books/Ages 9-12 Nonfiction, Children: Grades 1-2, Girls & Women, Health - General, Juvenile Fiction, and Social Issues - Adolescence.